Welcome to the European Honors Council (EHC). The EHC is a new European network around the subject of talent development in European higher education. In the network, people gather who are involved in or interested in offering special programs for talented students in higher education (often known as honors programs). Networking, sharing and exchanging knowledge and learning from each other are key elements for the EHC. Are you involved in talent development in higher education in Europe? Please become a member and keep up-to-date about what is happening in this field! The EHC has launched the Journal of the European Honors Council., which has published three issues since its start in 2017. In addition, the EHC newsletter archive is now online. The European Honors Council has opened for membership in June 2016. 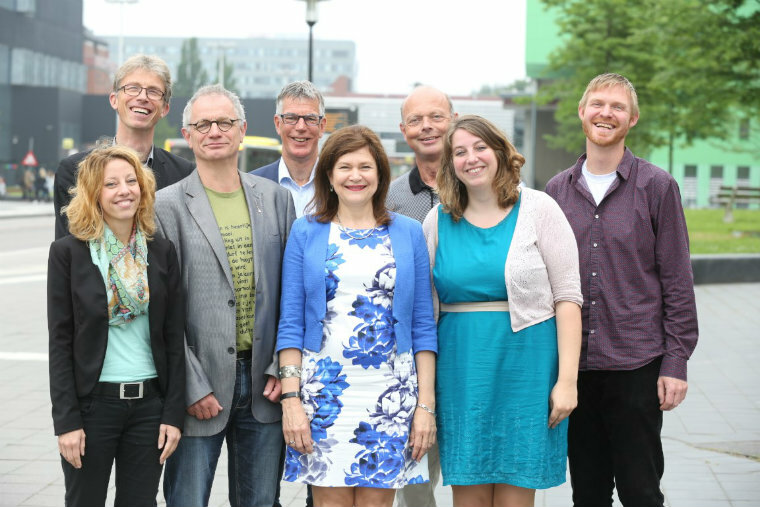 The Board (pictured below) presented the EHC at the conference 'Honours Futures' in Utrecht, the Netherlands. EHC Acting Board, June 2016.